The winner of our Summit Blog contest, a new contest for The NEW School Rules, learning walks and second waves of personalized learning. The grand prize winner of the contest is John Schlender, Principal of Mayville Middle School! 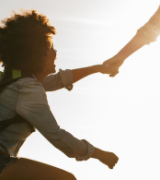 District leaders from across the country submitted a blog post for a chance to win a free trip to the Personalized Learning Summit 2018. 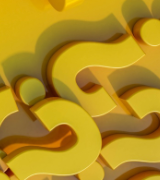 Principal Schlender’s post was all about asking the questions we always hope education leaders will ask themselves and their teams. He and one other leader from Mayville School District, WI, will receive roundtrip flights, hotel stay for the duration of the Personalized Learning Summit 2018, free registration and access to all Summit activities! What Do Romulus CSD and Pineapples Have in Common? Did you know that the pineapple is the universal sign for welcome? This year, teachers at Romulus CSD are placing pineapples outside their doors whenever their classrooms are available for peer observation. Is there any better way to learn than by observing personalized learning in action and asking students questions about their work? Most pineapples stay up consistently – with teachers welcoming colleagues all day, every day. An Opportunity for the Writer in You! 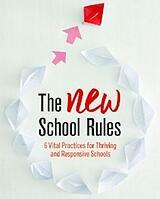 Anthony’s latest thoughts about organizational change have been collected in his new book, The NEW School Rules: 6 Vital Practices for Thriving and Responsive Schools. We know that some of you have already begun to put these rules into practice, and would love for you to share your reflections and successes with others! Write a 500-word blog post about one of the six rules and relate it to your work by March 30. We will review the submissions and publish winning selections on our blog. Take a look at the most recent article about the book here. The top 10 blogs will be published and the authors will receive signed copies of the book! At Education Elements we believe that every district, classroom, and child is unique, and that one size does not fit all. We work with districts to develop unique solutions that center around the individual needs, experiences, and feelings of students through the process of design thinking. When we support school teams in designing personalized learning, our process allows for the creation of customized instructional models and tactics that meet unique school student populations, resources, and visions. But walking toward an unknown destination can be uncomfortable, even frightening, when student success is at stake. In many cases, the teachers we work with want to preview what personalized learning might look like in their unique district and school circumstances before they are ready to take their first steps. As the districts we work with support more and more teachers in personalizing learning, many have worked to answer this demand by compiling success stories, anecdotes, and examples to help build confidence and by showcasing ideas and best practices in order to support teachers in walking down the road of PL. School District 197 in Minnesota is in the midst of taking a second wave of teachers through the instructional design phase of our work and recognized an opportunity to showcase the successes of wave one 'Vanguard' teachers. 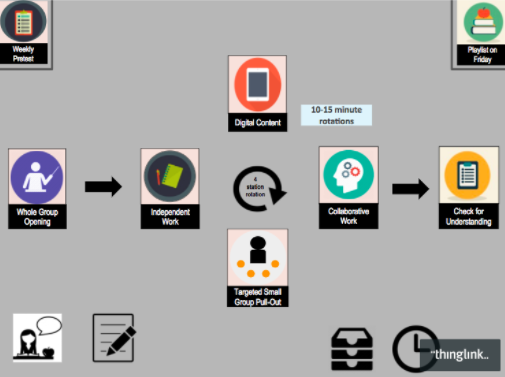 To share these practices, the team has developed a series of interactive instructional models using the platform, Thinglink. The models give an overview of the teacher’s instructional design (how they will use time and space) and include videos, pictures, and written descriptions of the components within it. To share these with teachers, leadership placed the Thinglinks at strategic points within the instructional design process to provide teachers with inspiration for how the concepts may be applied in their own classrooms. 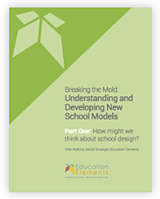 The team has been careful to message that the models are meant to inspire rather than mandate what PL might look like in classrooms at various grade levels. The interactive designs have been used within trainings, but also as open discussion topics during school team check-ins (similar to PLCs) on personalized learning. You can share them with your teams too! Want to learn more about District 197’s approach to PL? Visit their roundtable discussion at this year’s PL Summit: How can leaders in curriculum and technology collaborate to propel personalized learning work forward? Creating a strong relationship between an instructional coach and teacher is not a simple task. In fact, starting off a successful coaching relationship is a lot like blind dating. Two people who don’t know each other get paired up in hopes that a special bond can be formed. You have similar networks of people that believe it will be a good match and both parties experience mixed emotions – excited but nervous. But coaches don’t get to walk away at the end of the night and never see that person again if chemistry isn’t immediately ignited. Like any new relationship, there is a lot of potential, and how the relationship begins makes a huge impact. One of the pitfalls of being new to any situation is the mistake of being quick to rush to judgment. Entertaining the idea that what you see as a problem has actually been vetted to be the most viable solution by someone who came before you is a skill that requires patience, understanding and respect. When this core tenet is dismissed, and you assume too quickly that you know better, it often can lead to a downward spiral from which there is no return.